For the purposes of this module, community is defined as the structure that encourages interaction and collaboration among participants in a professional learning environment. According to Kaplan (2002) - Most communities, whether online or traditional, share a number of qualities and characteristics. For example, they're held together by distinct operating norms, members are distinguished by their formal and informal roles, trust must be built to ensure quality interactions, and a shared sense of purpose serves as the glue that bonds the community together. Communities that focus on learning must possess these same characteristics and engage people in a learning process over time. A vibrant community is one where everyone feels accepted and connected. Communities extend learning by creating a structure in which people can learn from informal interactions. Informal knowledge about how things really get done, is extremely difficult to capture, codify, and deliver through discrete learning objects and traditional training programs. Communities of practice are a way to elicit and share practical know-how. Creating and structuring opportunities for people to network, communicate, mentor, and learn from each other can help capture, formalize, and diffuse informal knowledge. Communities become a boundary-less container for knowledge and relationships that can be used to increase individual effectiveness. Misanchuk & Anderson contend that participation in both social and academic conversations is integral to the development of community. "Without active participation in discussions and other class activities, the learner is not part of the community; indeed, the learner does not even "exist." Professional learning communities encompass both participant-leader relationships, and participant-participant relationships. The tone of the professional learning community is typically set by the professional learning leader, or presenter/facilitator, who is responsible for making all participants feel welcome and supported in professional development events. 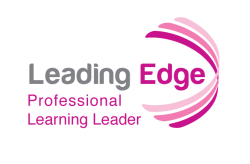 By using both academic and personal presence, and formal and informal registers of language, the Professional Learning Leader (PLL) can model expectations for interaction by the way they respond in different contexts. In face-to-face, blended and online environments, participants feel connected to a professional learning community through identity-building activities and projects designed to foster participant/facilitator and participant/participant trust. Community can be developed through synchronous or asynchronous communications, but is often best developed through a combination of both. It is up to the professional learning leader to facilitate communications using a variety of appropriate strategies. Community building activities and strategies for professional learning leaders can be categorized into 1) pre-; 2) during delivery; and 3) follow-up after a learning event workshop or course presentation in which the professional learn is participating. Some of the strategies in this module are appropriate for use at multiple stages depending on the purpose for which they are used. The various community-building tools and strategies presented in this module will help you build a toolkit you can use as a professional learning leader.